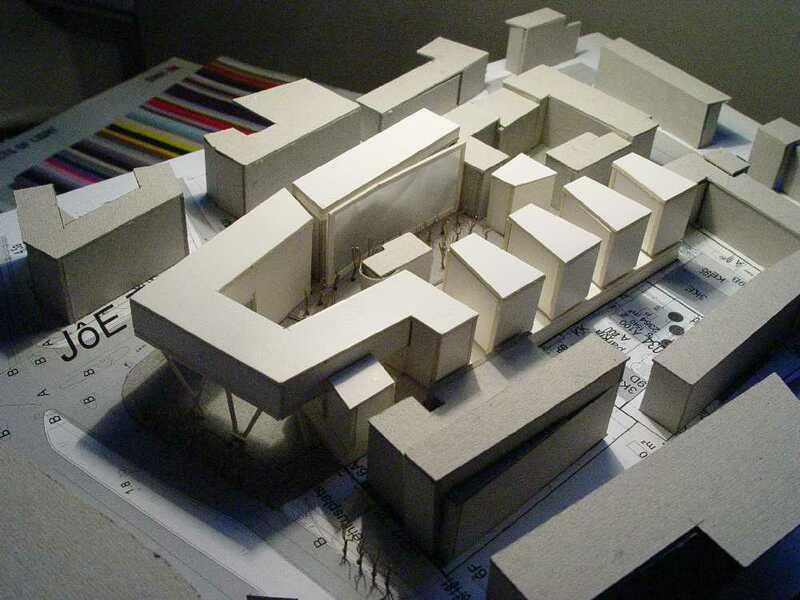 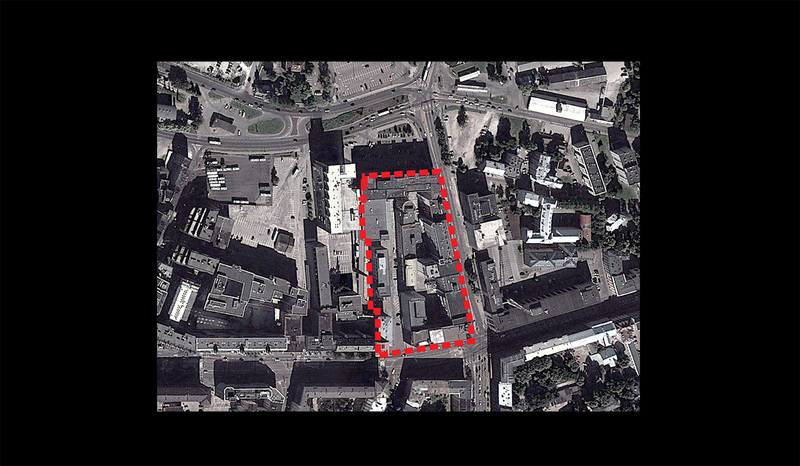 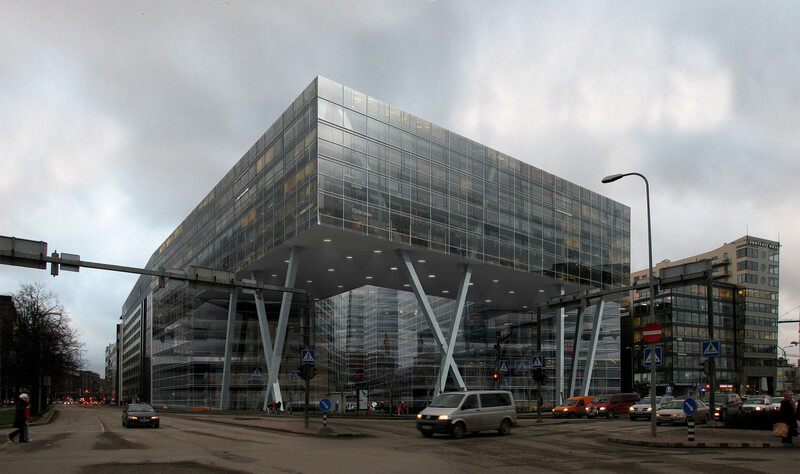 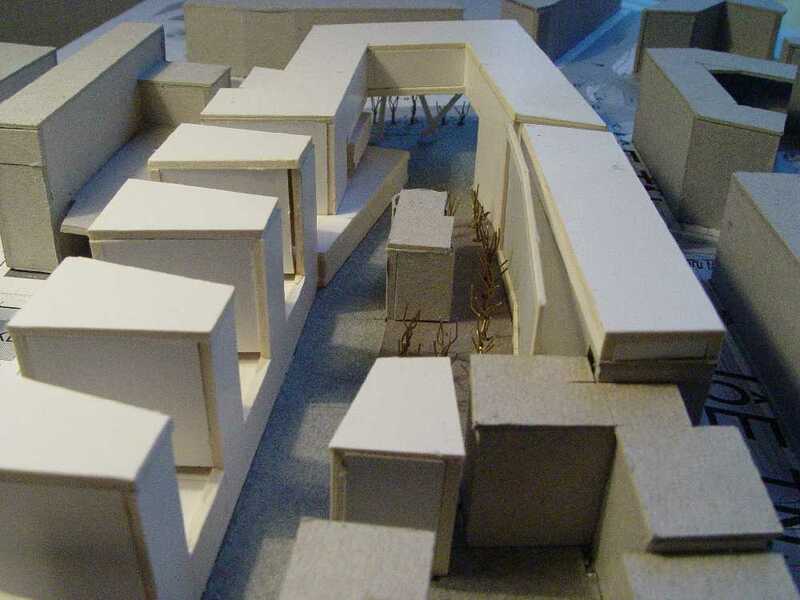 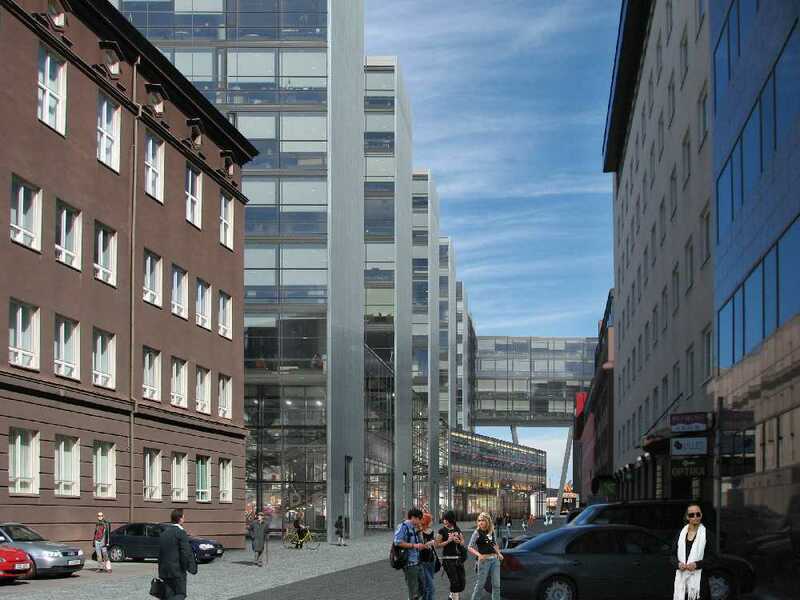 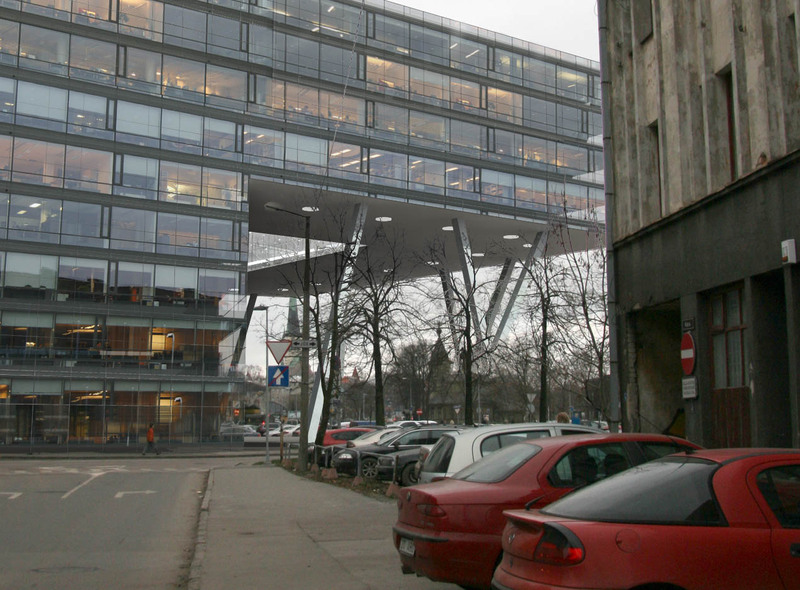 The goal of the competition was to provide a renovation / extension plan for the existing World Trade Center Tallinn location. 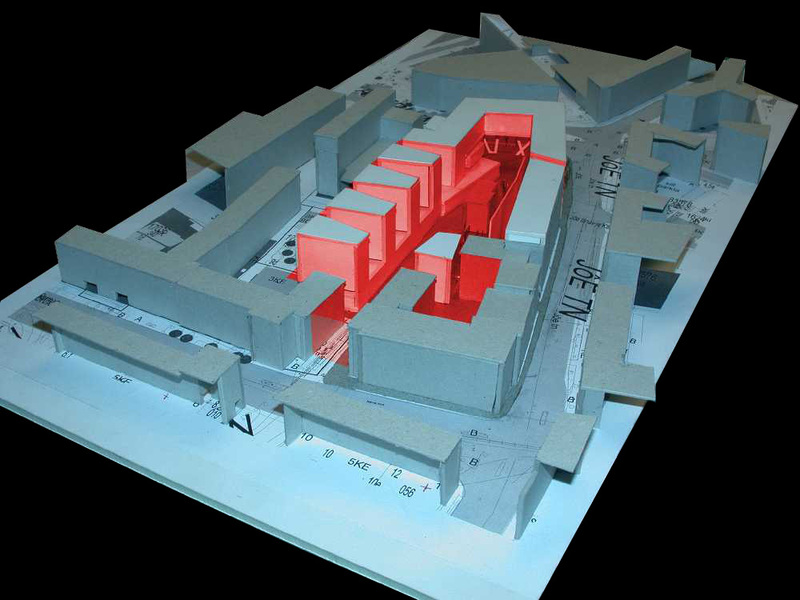 Given the changing nature of the city around it, generally low quality of design of the buildings comprising the complex, and gradual additions executed without much thought, the existing complex has by now become a dark, unwelcoming space, which does not only scares away visitors, but is hardly an inspiring environment for the office workers themselves. 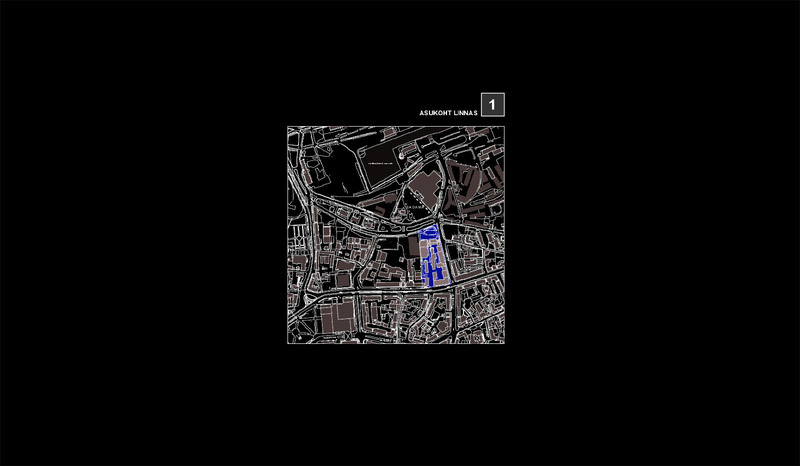 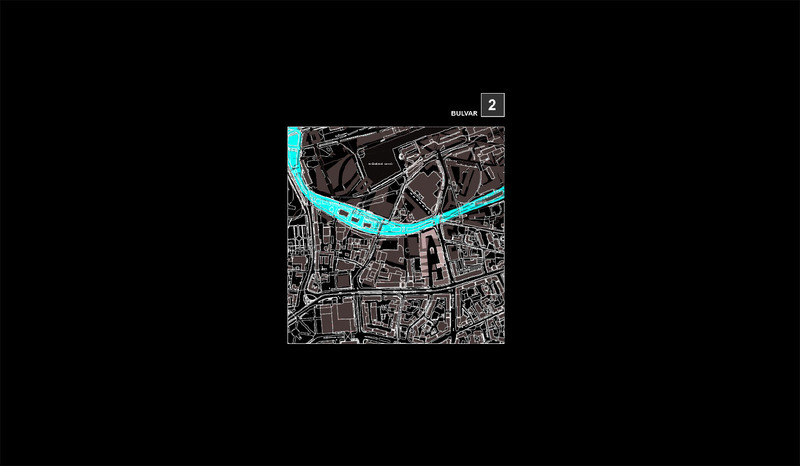 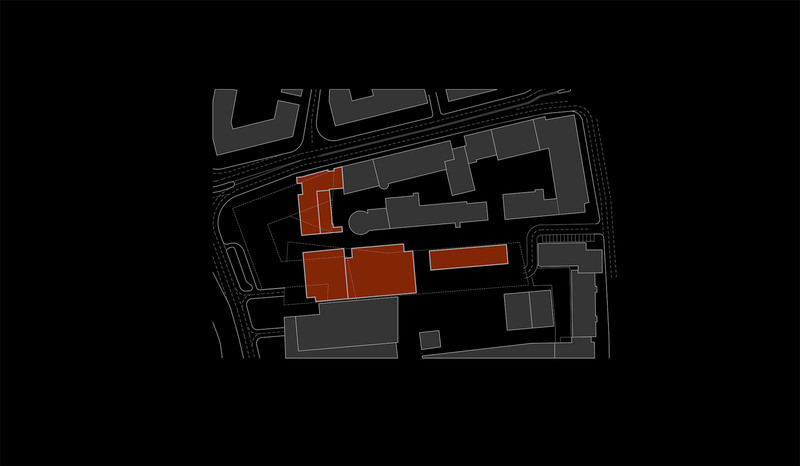 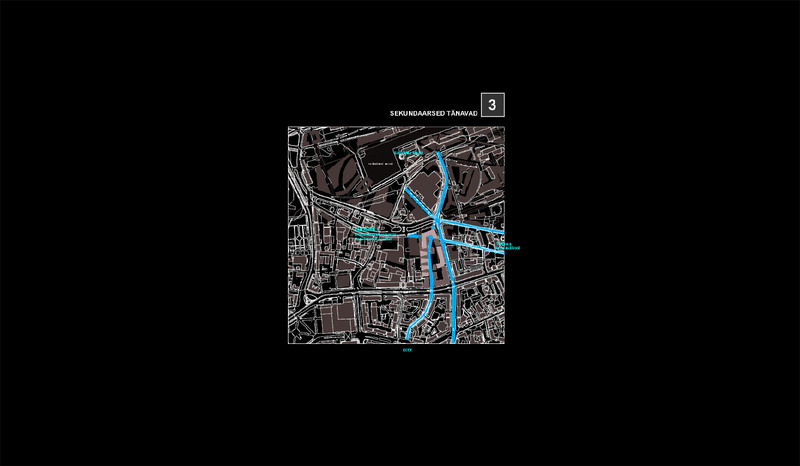 – a new urban experience for both the visitors and the office workers. 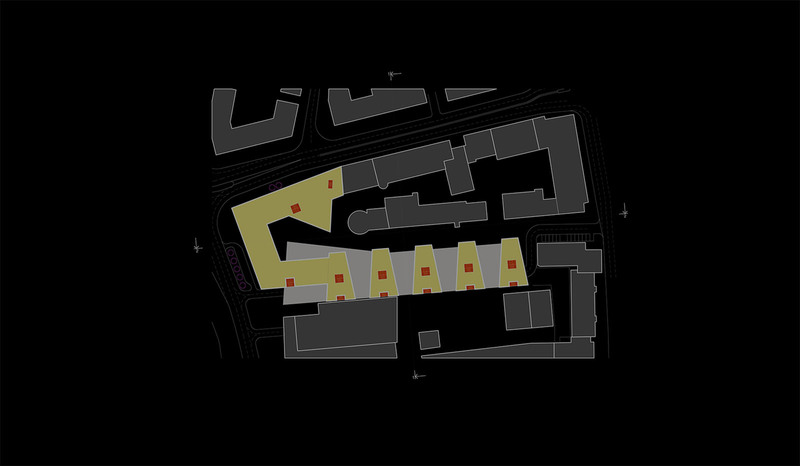 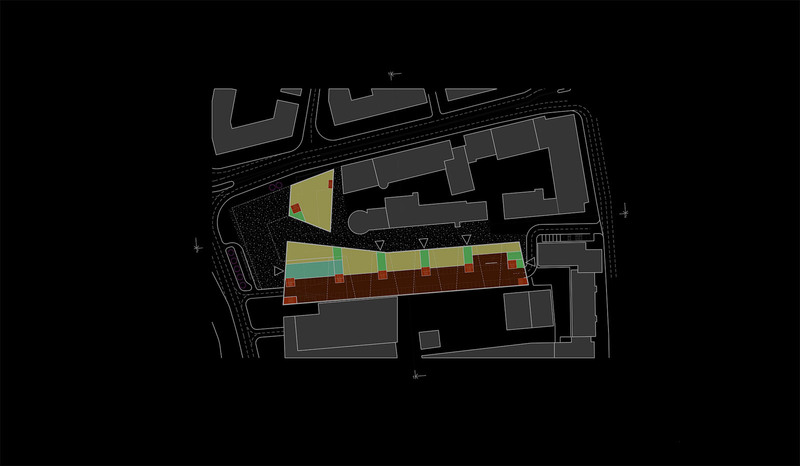 By solving parking, the area inside the block is transformed into an internal pedestrian-only green park, framed by public and commercial functions as well as foyers of the office blocks on the ground level. 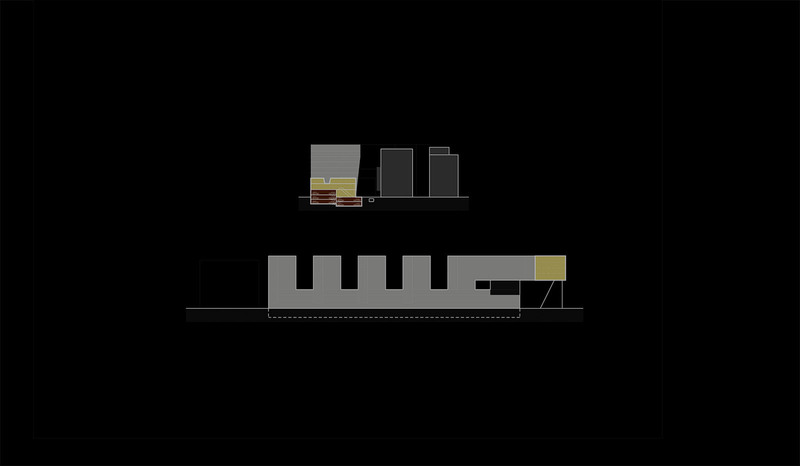 The cantilevering volume at the northern end of the block gives the WTC a clear entrance, while spatially enriching the streetscape and signaling a new destination point to the visitors coming from the port area in the north.